July 21, 2017 by Beeraj Patel, Esq. For many years, the United States has opened its doors to those who seek new economic opportunities. Immigrants often search for these promises of a more optimistic financial future through employment-based immigration which allows a U.S. employer to sponsor an individual for a specific position. Foreign workers with skills are valuable assets to the American economy. In 1990, Congress created a priority system used to grant permanent residence to aliens based on their employment skills. Each year, more than 140,000 immigration visas are available for aliens (as well as their spouse and children) who qualify for at least one of the following five employment-based preference categories. The first employment-based preference is for “priority workers”. The Immigration and Nationality Act allocates that approximately 28.6 percent of all employment-based immigrant visas annually are given to priority workers. These workers are generally found within three subcategories, including workers of extraordinary ability in the arts, sciences, education, athletics, or business, multinational executives and managers, and outstanding researchers and professors with private employers or universities with established research departments. Together, these three subcategories make up the EB-1 classification. 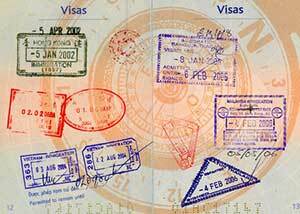 Visas in the EB-1 category are given on a first-come, first-serve basis. To be eligible for the EB-1 visa requirements through “extraordinary ability”, you must demonstrate extraordinary ability through sustained national or international acclaim. Achievements must also be recognized through documentation. However, no employment offer is required. To acquire a visa as a “multinational manager or executive”, you must have worked outside the U.S. for at least 3 years before the petition and for a minimum of 1 year by the corporation or firm that you wish to continue working for in the U.S. For a visa as an “outstanding professor or researcher”, you will need to show international acknowledgement for outstanding achievements in an academic field and you must have at least 3 years of experience in research or teaching in that particular field. The second employment-based preference includes aliens who have earned advanced degrees including any professional or academic or professional degree exceeding a bachelor’s degree. It also includes aliens who possess a bachelor’s degree in addition to five or more years of relevant or progressive experience. Second preference, or EB-2, may also allow aliens of “exceptional ability” in the arts, sciences, or business to acquire a visa. Approximately 28.6 percent of the total number of employment-based visas available annually is allocated for second-preference workers. In 1995, the INS General Counsel published that the EB-2 visa classification would also include athletes. To acquire a visa as a professional with an advanced degree, a U.S. employer must file a petition that states that there is a job that requires an advanced degree and the alien possesses that degree. The third employment-based preference includes skilled workers who have at least two years of experience, training, or education. It also includes professionals with bachelor’s degrees that do not qualify for the second preference. This third employment-based preference, or EB-3, also includes unskilled workers. Approximately 28.8 percent of the total number of employment-based visas annually is allocated to workers within these three categories. To qualify for EB-3, a U.S. employer must offer the candidate a permanent, full-time position which means there is no predetermined termination date. In many cases, the U.S. Department of Labor requires that no workers in the United States are available to fill the position that is being offered to the alien. The candidate must also meet certain qualifications for the job and the employer must have the means to pay the candidate’s salary. The forth employment-based preference consists of “special immigrants”. 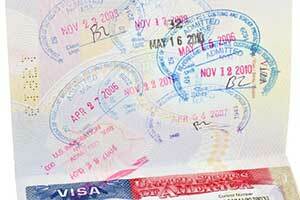 This preference category represents about 7.1 percent of the total number of visas allocated each year to immigrants. This unique category often includes employment opportunities that don’t fit into other categories. Preference EB-4 visas may include religious workers, Amerasian children, Panama Canal Treaty employees, retired employees of international organizations who have been admitted to the U.S. under the G-4 non-immigrant visa, certain employees of the U.S. Foreign Service, and dependents of juvenile court. There is a limit on visas in the “special immigrants” category. Just 10,000 green cards are available each year for all of the subcategories combined. However, no more than 5,000 visas can be allocated towards religious workers who are not members of the clergy or ministers. In addition, no more than 1,500 visas can be allocated for Afghan nationals who worked for the U.S. government while in their home country. There is also a 5,000 limit on Iraq nationals who have worked for a U.S. government in their country. The fifth and final employment-based preference is the EB-5 visa for immigrant investors. This category offers 10,000 visas annually to alien entrepreneurs who own enterprises that will directly or indirectly create 10 or more new jobs in the U.S. To be eligible for a visa under this category, candidates are required to invest $1,000,000 or up to $500,000 if in a high-unemployment or rural area. The EB-5 visa program was created in 1990 by Congress to stimulate the economy through new job creation. Under this preference, all investors must invest in a new commercial enterprise that has been established after November 29, 1990 or established before this date but also purchased with an existing business that has been restructured or expanded. A commercial enterprise consists of any type of for-profit business that may include a sole proprietorship, holding company, partnership, joint venture, business trust, corporation, or other public or privately-owned entity. An EB-5 investor must create full-time positions for at least 10 qualifying employees. These employees must be U.S. citizens who have permanent residence in the U.S. or immigrants authorized to work in the U.S. Following a family sponsor, employment-based applications are the next most common method of acquiring permanent legal status in the United States. If you’re a foreign professional interested in pursuing an employment-based visa, or if you’re an employer who would like to seek the skills or experience of a foreign-born worker, contact an immigration attorney to gain useful guidance and minimize your risks.